​Tottenham Hotspur manager Mauricio Pochettino believes that Barcelona are the favourites to win the UEFA Champions League this season, claiming that the presence of Lionel Messi is a major advantage in their favour. 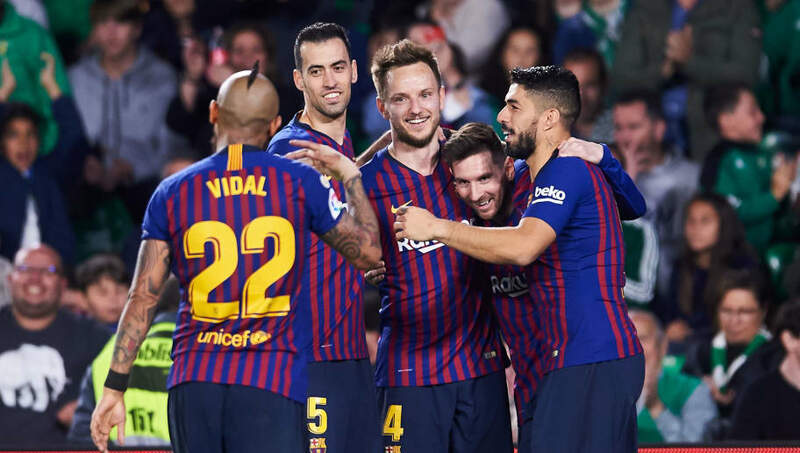 The Catalan giants have been drawn with Manchester United in the quarter-final of the competition, but have struggled in this stage in the past few seasons, with the club last winning the tournament in 2015. “If there is one favourite team to win Champions League it is Barcelona. [Barcelona manager] Ernesto Valverde is doing a great job. Then they have players of an extraordinary level. And then they have Leo Messi. Then you have teams such as Manchester City or Juventus that will always have chances to win the competition because they are teams designed to do that," Pochettino said as quoted by ​Reuters. Pochettino's side for their part have been drawn with Manchester City, who are considered by many to be strong enough to win their first UCL title, though the Argentinian believes that playing in their new stadium will give his team energy. "It is clear that Manchester City are a team designed to win and with an obligation to win. We will try to compete. We know that in short tournaments the fitness of the team at the time is very important. We have the incentive that we have a new stadium and we will play with 62,000 spectators. That will create a special energy," he added.